2019 SeaArk Big Easy #43671 The Big Easy is one of the most popular SeaArk models. It is the perfect combination of family and fishing fun! 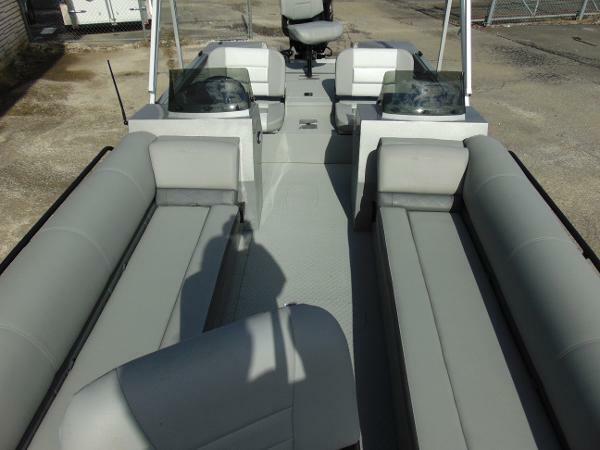 The Big Easy is 24’ and has bow and stern fishing decks and large lounge couches for comfort! 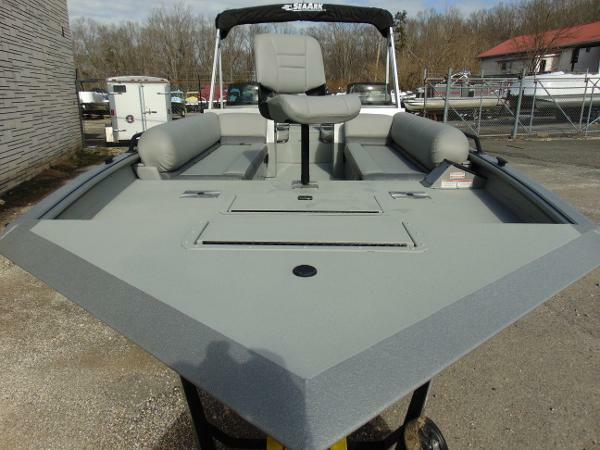 This boat is powered by SUZUKI DF250 4 stroke engine with an outstanding 6 YEAR WARRANTY! 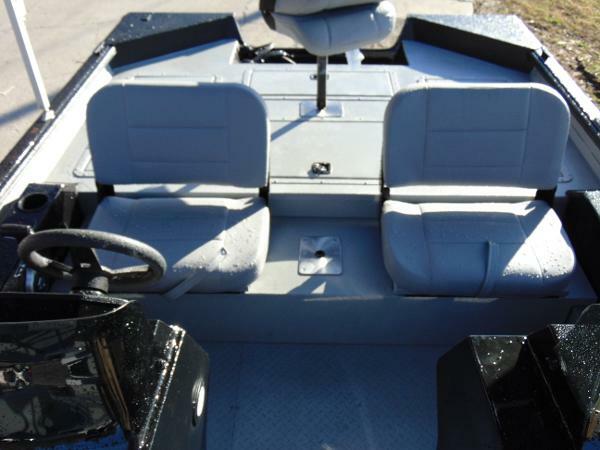 This Big Easy is well-equipped with great standard features and extras such as: Bimini Top With Light Round Radio Kit With Bluetooth Gatorhide Black with Gray Interior SeaStar Hydraulic Steering 15° Hull .125 Gauge Aluminum Deluxe Trailer Package Painted, Galvanized Trailer With Disc Brakes Call, Email, or visit WATER WORKZ MARINE for sales, service, parts, or accessories! Tennessee's #1 AVALON pontoon dealer and Southeast Tennessee's authorized dealer for SEAARK Boats, XPRESS Boats, and QWEST Pontoons!! Visit us on the web or like us on Facebook to stay up to date with current promotions. Won't last long!! CONTACT US TODAY to see how EASY it is to own a new or used boat ! FINANCING AVAILABLE for qualified buyers! TRADES Welcome! 2019 SeaArk Big Easy #43498 The Big Easy is one of the most popular SeaArk models. It is the perfect combination of family and fishing fun! 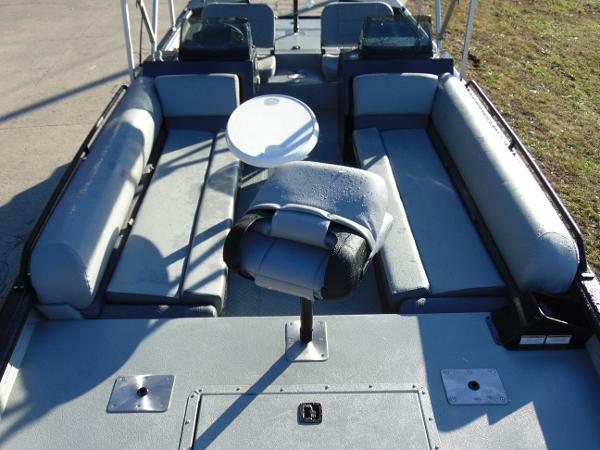 The Big Easy is 24’ and has bow and stern fishing decks and large lounge couches for comfort! 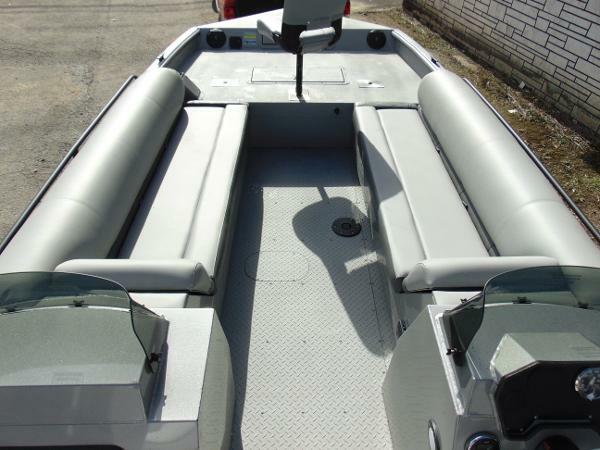 This boat is powered by SUZUKI DF200 4 stroke engine with an outstanding 6 YEAR WARRANTY! 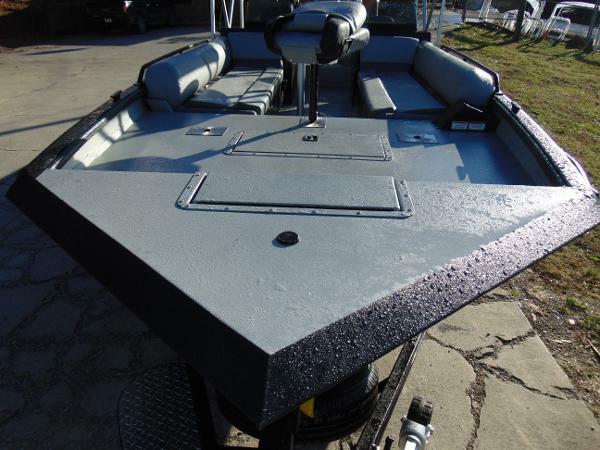 This Big Easy is well-equipped with great standards and extras such as: Bimini Top With Light Round Radio Kit With Bluetooth Gatorhide Black with Gray Interior SeaStar Hydraulic Steering 15° Hull .125 Gauge Aluminum Painted, Galvanized Trailer With Disc Brakes Call, Email, or visit WATER WORKZ MARINE for sales, service, parts, or accessories! Tennessee's #1 AVALON pontoon dealer and Southeast Tennessee's authorized dealer for SEAARK Boats, XPRESS Boats, and QWEST Pontoons!! Visit us on the web or like us on Facebook to stay up to date with current promotions. Won't last long!! CONTACT US TODAY to see how EASY it is to own a new or used boat ! FINANCING AVAILABLE for qualified buyers! TRADES Welcome!